EC Boys’ Golf Team is Ranked No. 1 in the State! 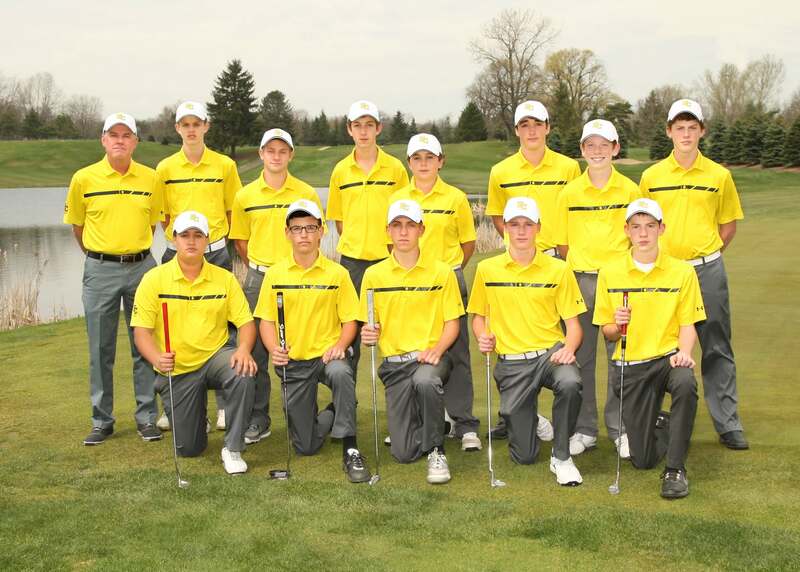 Golf Team Members: (back row, left to right) Coach Dave Smith, Jack McGrath, Tyler Rozwadowski, Rodrigo DeNigris, Antonio Navarro, Andrew Stafford, Kevin Meehan and Max Engle. (Front row, kneeling, from left to right) Nick Korns, Mitch Lowney, Joey McMahon, JC James and Andrew Ross. This week, the Everest Collegiate Boys’ Golf team made school history by being the first team in school history to be ranked number one in the state. The team is led by 2015 All-State golfer, senior Tyler Rozwadowski. With a current record of 6-0, the team last week finished 8th out of 22 teams in the Seaholm tournament. The team shot a season low 311. The other 21 teams where all Division 1 teams. The team plays today, Friday, May 5, in the Division 3-4 Oakland County Tournament in Pontiac.